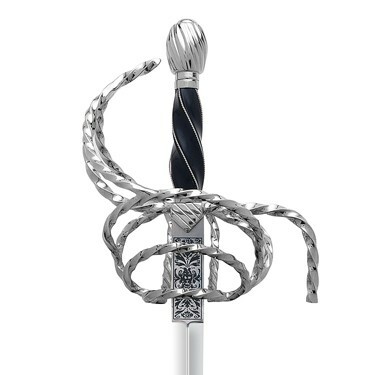 Stunning 17th Century rapier with a dashing aristocratic look. Expertly crafted swept and twisted metal basket. Extended custom engraved ricasso gives extra strength. 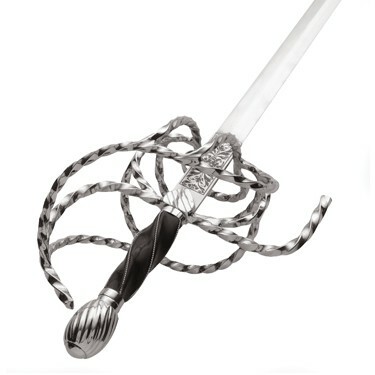 Heavily carved horn grip with steel accent wire provides a firm grip. Hand forged high carbon steel 95cm blade with flattened oval cross section. 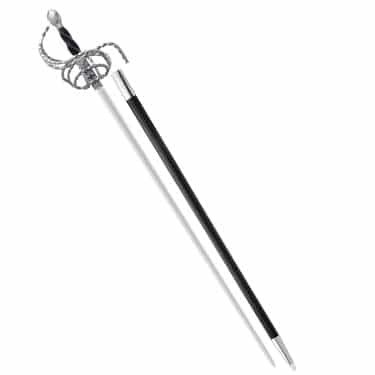 Includes leather scabbard with twisted metal accents.